*UPDATE: The two-day lineup has been revealed. Yesterday we got the first word from the team at JamBase that they’re planning something big for the weekend of July 4th, 2013. 2013… what a year. Yeah, we know. It’s only just begun. But while everyone else was out worrying and living like the world was going to end in 2012, we were working even harder, and getting ready to make a big bang this year. That’s right. We’ve got an absolutely dynamite announcement that we’re pretty sure is going to blow your minds. For more than a decade of live music coverage, from thumping festivals to the most intimate gigs, JamBase is pleased to announce that our first major live music event will take place in one of the World’s premier outdoor venues. 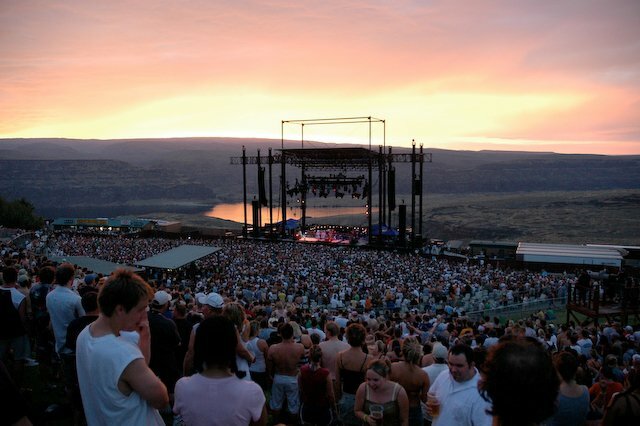 They’re calling it JamBase Live, and we are hearing that the Gorge Amphitheater will be playing host to the two-day event. The future event site of JamBase Live? The Gorge in Quincy, Washington. For folks on the West Coast that usually reserve the weekend of July 4th for the High Sierra Music Festival, this may present a difficult choice. However this also means there could be some fantastic artist crossover potential that will allow more artists to route their way West to take part in both of the events. We’ll have tons more on this as it becomes available. Stay tuned!